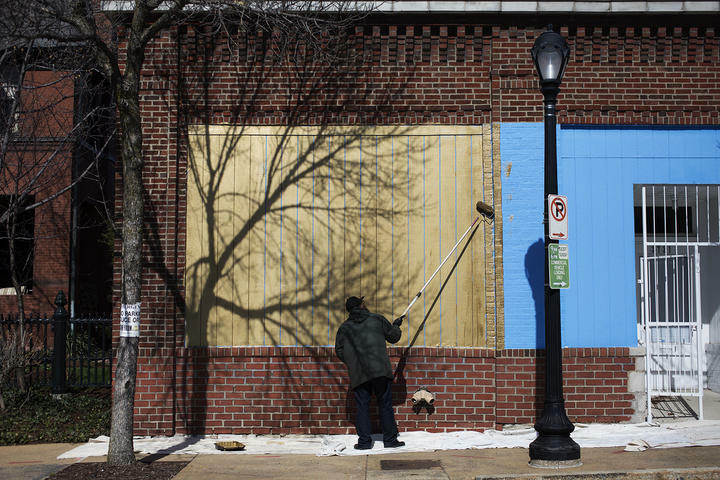 In March 2017, Andres Hernandez, an artist and associate professor of art education, paints the former Bruno David Gallery in Grand Center as part of a visual arts project to demonstrate the changing nature of urban landscapes. It may seem counterintuitive for two architects-turned-artists to have crafted an artistic exploration of urban landscape around the idea of tearing down buildings, but that’s exactly what Andres Luis Hernandez and Amanda Williams want you to concentrate on with their recent project in Grand Center. 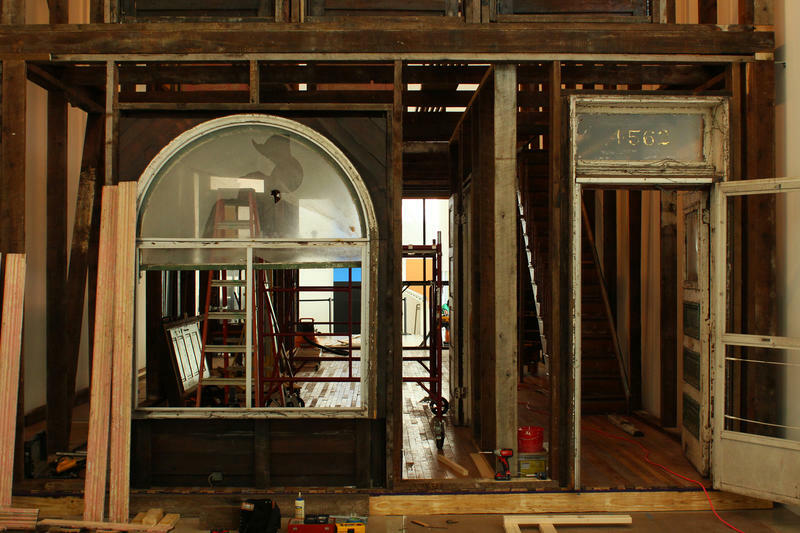 The two Chicago-based artists want you to think about the process of “unbuilding” as much as you pay attention to the new construction and developments around town when you observe their process deconstructing the former Bruno David Art Gallery on Washington Ave. The project, called “A Way, Away (Listen While I Say),” is the next iteration of PXSTL, a collaboration between the Sam Fox School of Design and Visual Arts at Washington University and the Pulitzer Arts Foundation, which sits directly across from the project site. 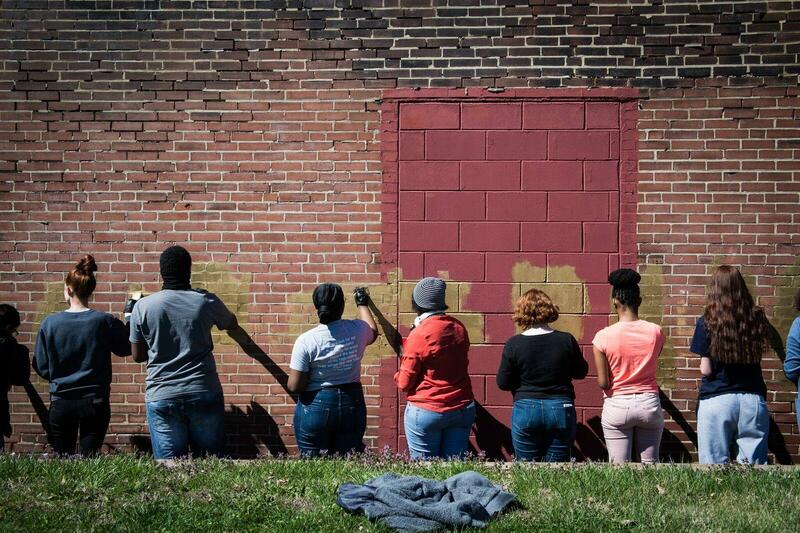 How much do you pay attention to structures in your neighborhood as they are demolished? 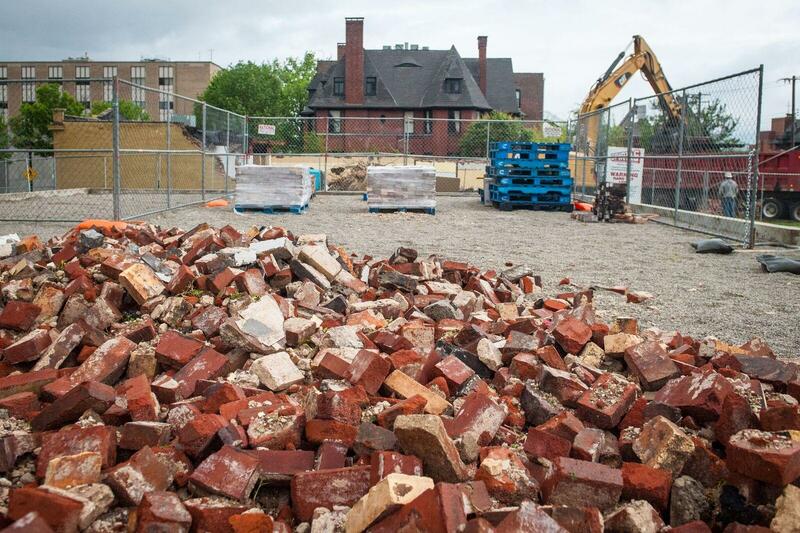 That's a process to Chicago-based artists are trying to draw attention to with their new work "A Way, Away," which involved demolishing the former Bruno David Arts Gallery in Grand Center. Williams explained how the artists grabbed the attention of the community to think about the stop-motion process of unbuilding urban landscapes. Artists paint the former Bruno David Gallery building as part of the "marking" phase of the "A Way, Away" art project. First, the artists entered the “marking” phase, when the Bruno David Gallery was painted entirely gold. 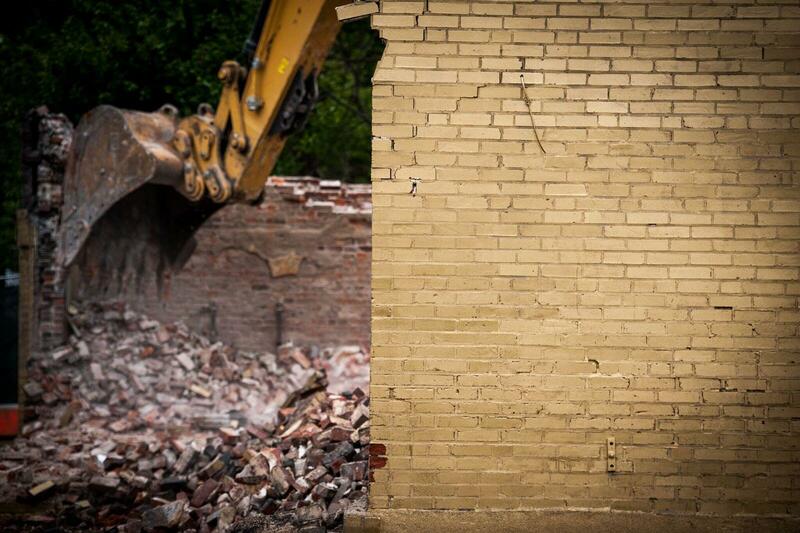 As part of the "subtraction phase," the Bruno Davis Gallery building is demolished. Second, the building entered the “subtraction” phase, which included the demolition of the building itself. As part of the "translation" phase, bricks are prepared to be repurposed elsewhere. Third, the project entered the “translation” phase, which involves taking materials from the demolished building and preparing them for the next life. Examples of this might include the use of the bricks in other nearby buildings or walls. This is the stage the project is in currently. 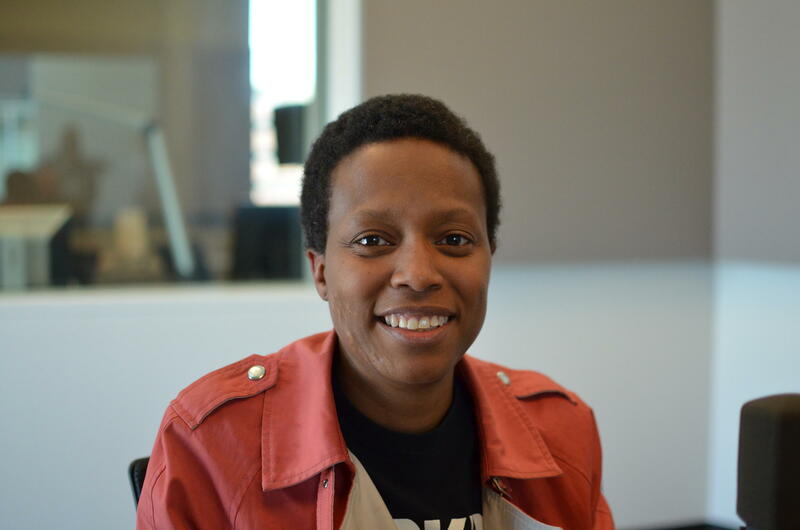 Amanda Williams, one of the artists behind "A Way, Away (Listen While I Say)." Fourth, the process of “shaping” includes shaping the land where the building is in a different way, to create a green space. Williams said the point of these steps is to make sure the community is keenly aware of the process that a building goes through when it ceases to exist. Hernandez said those types of conversation are essential as urban areas continue to be rethought and redesigned. Andres Luis Hernandez, one of the artists behind "A Way, Away (Listen While I Say)." This weekend, the artists invite community members to a public celebration for “A Way, Away (Listen While I Say).” The event, running from 12-1:30 p.m. on May 6, will feature a reception with the artists and other public programs, as well as food from Seoul Taco. More information can be found here. 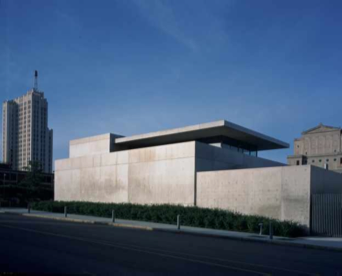 St. Louis’ Pulitzer Foundation for the Arts will undergo a major expansion to increase its square footage by one-third. 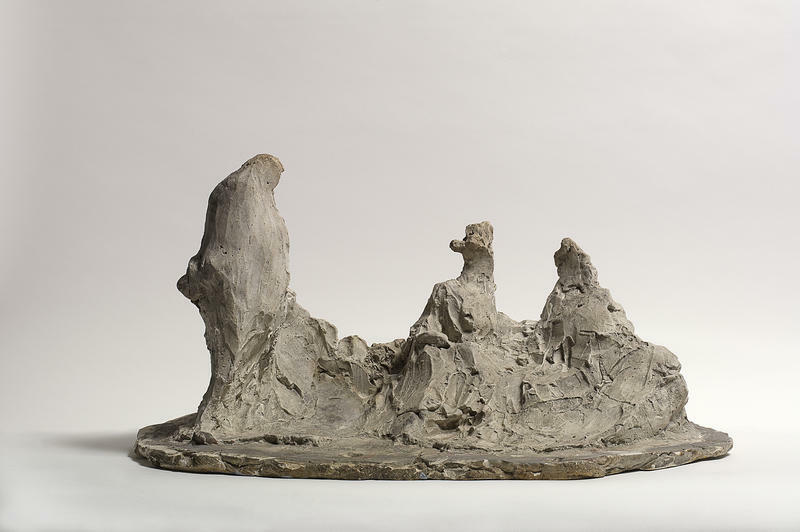 Turn-of-the-century artist Medardo Rosso defies categorization as much as his body of work, now on display at the Pulitzer Arts Foundation, was ahead of its time. He was born in Italy but spent many decades of his working years in Paris primarily as a sculptor, although he also produced photographs and drawings. This article first appeared in the St. Louis Beacon: As industrial artist Donald Judd neared 60, his work took a new spin -- along the color wheel. A seminal figure in contemporary art, the Excelsior, Mo., native often paired two colors. But from 1984 through 1992, two years before he died, Judd explored the rainbow. In a first-ever exhibit, the Pulitzer Foundation for the Arts will display two dozen objects and 30 collages and drawings from this period, in “The Multicolored Works,” opening May 10.